AccessAngel has a multi-language user interface (English, German, French and Chinese) and may start automatically every time the operating system starts-up. 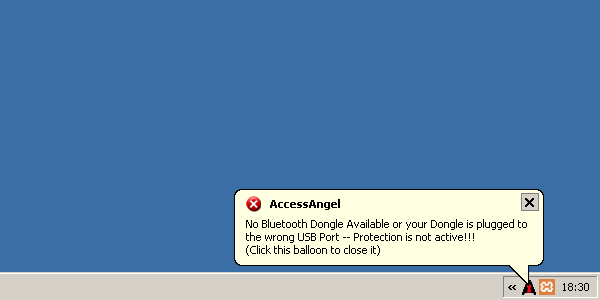 AccessAngel has an integrated screensaver which appears (optional) when the computer is locked. 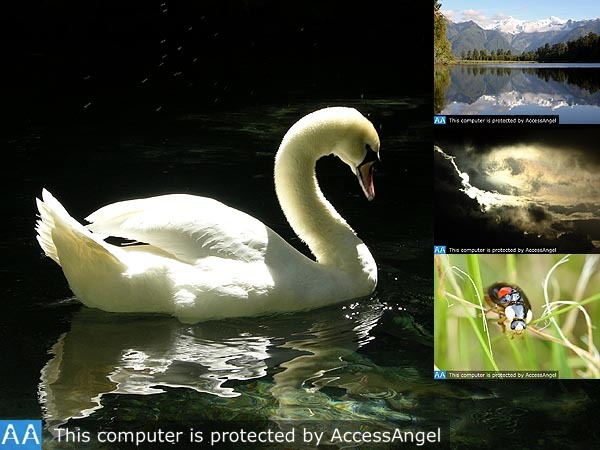 The user may choose between the AccessAngel standard logo, his/her own pictures and scenic pictures taken by the developers of AccessAngel. But unfortunately you will never see these pictures by yourself unless you forget your mobile somewhere. If your mobile phone is stolen or lost, you can access your computer by your normal system log-in password anyway. 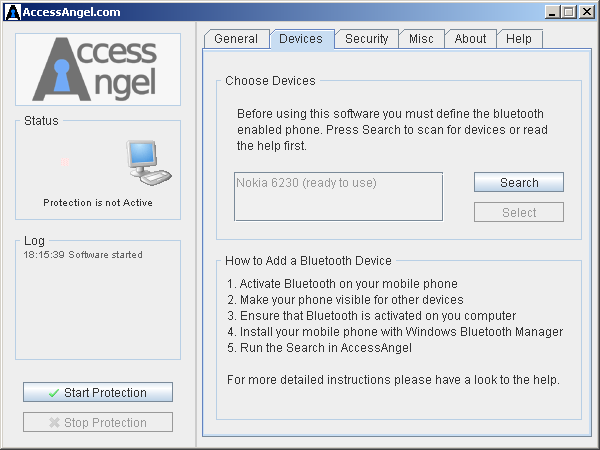 An easy to use Device-Detecting-Wizard helps to add Bluetooth devices to AccessAngel. 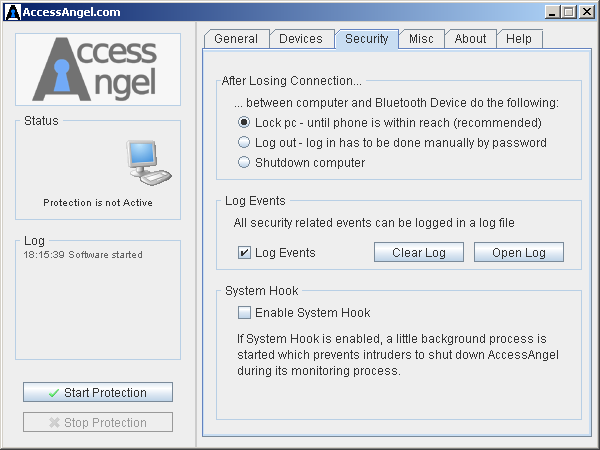 AccessAngel offers the possibility to start external programs when the user has left the computer. Optional statistics show how often the computer was locked, for how long etc. An automatic update check informs the user when a new version of AccessAngel is available. Customers can update the software for free within a period of up to 5 years. Several security options are available. The default option locks the computer as soon as the user has left and unlocks the computer when the user returns. Alternatively, the user may be logged off from the operating system or the computer may be shut down. The System Hook prevents other people to shut down AccessAngel during its monitoring process. AccessAngel informs the user with user friendly messages about its status. All status messages are optional and may be turned off.